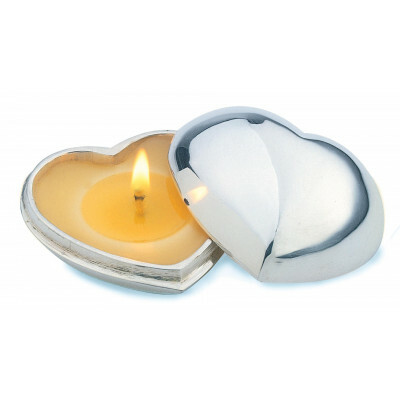 Our miniature silver enclosed heart candle is a real treasure, and makes a heart-warming gift (pun intended) for virtually anyone. 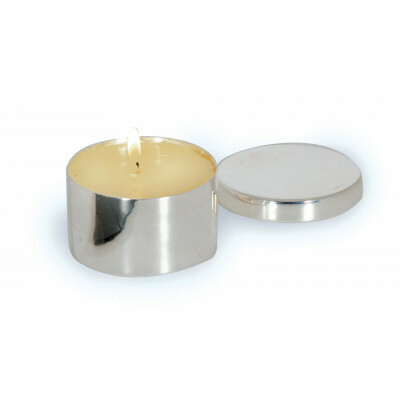 Though quite small—the silver-plated case is only 5 centimetres across—the candle inside burns for approximately 20 hours, so it will see plenty of use. 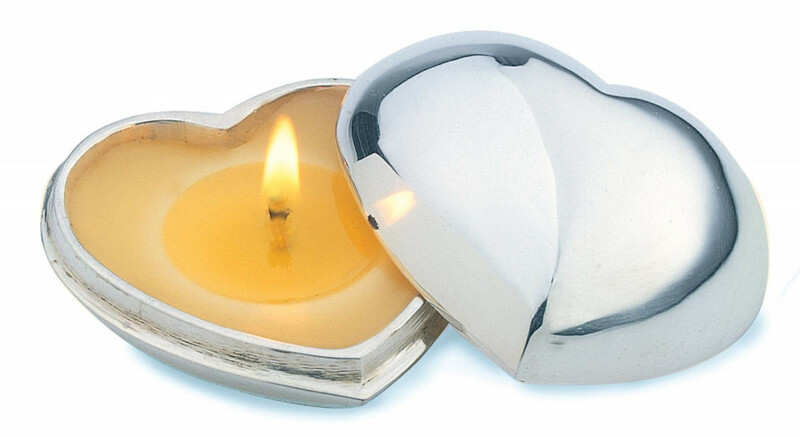 The silver case makes a perfect cover for a tea light even after the original candle is expended. Of course, the heart shape of this piece makes it ideal as a gift of love. 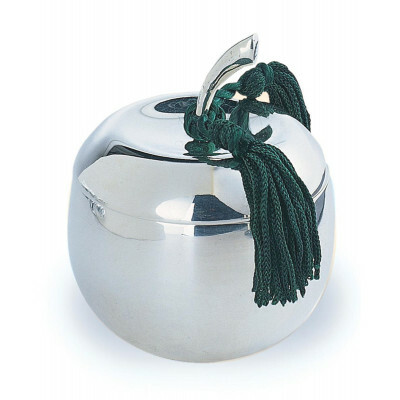 The smooth, mirror-finish silver surface is unmarred and easy to care for, retaining its shine even after many years of use. 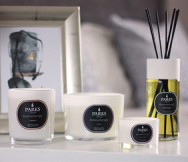 The lid fits tightly to keep the candle inside fresh and aromatic, and the domed interior is spacious enough to keep the delicate wick from being crushed between uses. Many of our customers choose to have these lovely silver-plated hearts engraved with a special message, either on the surface or reverse of the cover, or even on the underside where a casual viewer would not think to look. What special message would your cherished recipient appreciate most? The candle inside—at the heart of the heart, if you will—is delicately scented with one of our most popular citrus-based essential oil blends. The bouquet begins with clear notes of orange, giving the mix an overarching bright, warm, and cheerful tone. Next, you will notice distinct lime notes, adding a piquancy and zing that will bring a smile to almost anyone’s lips. 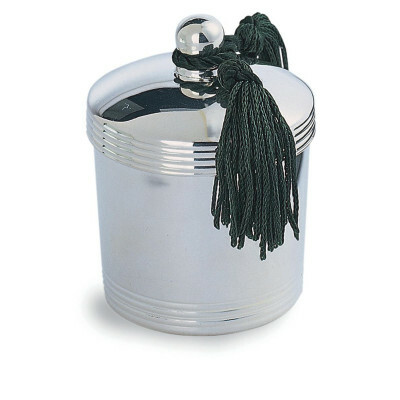 Last, the aroma is rounded out with imported bergamot, adding a deep, complex finish.